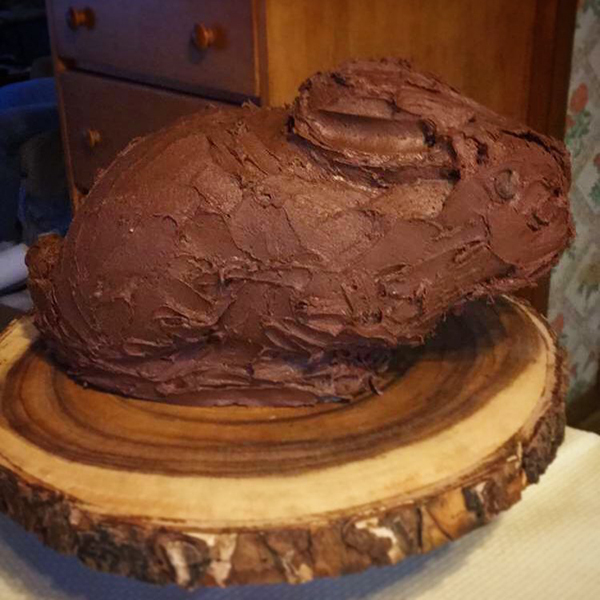 While lying around sick, I got it into my head that I wanted to make a chocolate bunny cake for Easter. It had been years since I made one of my bunny cakes, and I totally forgot that you don't bake the two side separately. 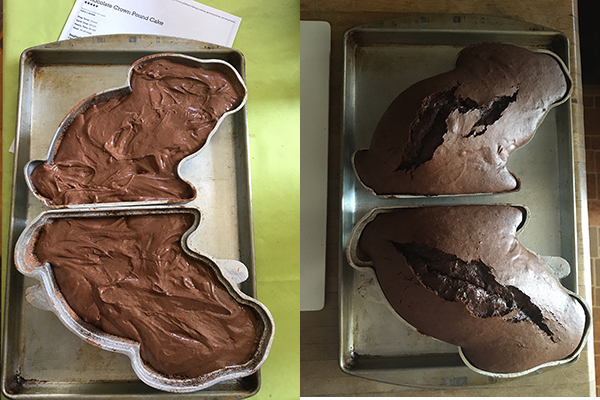 You fill one side as full as you can, place the other half on top and let the cake bake up into it. The two cakes bake beautifully but they were not structurally sound when I stuck them together with frosting. After I looked at my own blog post from the past I realized my mistake. Bunny cake stayed upright just long enough for me to snap a photo. He was still delicious. Ah yes, my grandmom had a bunny mold and a lamb mold. I got the lamb when she died and my cousin got the bunny. I'm planning a covert op to get the bunny back because I don't think she ever bakes it. We have lots of pics from when we were kids with both cakes every Easter. I always ice the lamb with white icing and sprinkle with coconut for that wooly effect. Well if the bunny isn't being used, it's only right it comes to live with you!